Prince Kiplan Zeethar is an elite Zerkian soldier of the Zerkian Empire who has been living in exile on Earth for ten years. The ability to morph into anything organic is a definite plus for him and aides in his assimilation to the human population. He is married to a human woman, owns a human home, lives a human life. Until his not-so-human people invade the planet. Now Zeethar must take up arms, again, but this time he will be fighting alongside humanity. It has been two years since the Zerkian invasion was pushed back, now the humans are working with the ‘Xel Shadaa. Their objective: Develop a weapon that will bring the Empire to its knees. Before long, all contact is lost with the weapons research facility on Pluto. When Zeethar arrives he discovers the remains of the facility, as well as those of all the researchers. What awaits Kiplan can only be described as the deepest, darkest, most terrifying figment of your imagination. Only it’s real…. 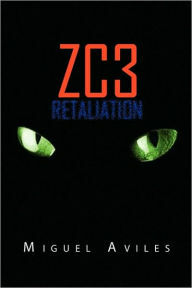 Earth’s chain of command is responsible and now Zeethar is behind bars at a make-shift slave camp, and worse yet, Emperor Talnus Zerk is on his way to execute him. 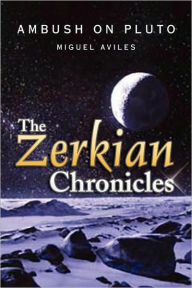 Now Zeethar must break out of prison and escape the planet so that he can re-organize the human resistance. The future of humanity lies in the hands of the resistance, without Director Zeethar, the resistance will fall to the Imperial forces of the Zerkian Empire. n exchange for the powers they are given. the price he has to pay is his own life.